The obvious answer is absolutely not, many times a traffic ticket is given in situations where even the officer knows that a motorist who puts up a strong traffic violation defense usually wins.. This doesn’t necessarily mean the officer will cut back in handing out marginal tickets. That’s because the trooper also knows that only about 3% of ticketed drivers contest their citations. Furthermore, many of those who do fight are so unprepared and nervous that they beat themselves, not their citation. You shouldn’t assume you are guilty, some states show that 30% of all traffic violations in Texas are so marginal the officer will never appear in court. Before assuming the ticket can’t be beaten and resigning yourself to writing out that check, we encourage your to contact a Texas traffic ticket lawyer to take a hard look at the facts surrounding your traffic violation. 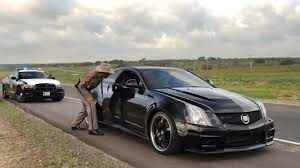 In Texas if you were going a couple miles over the speed limit your Texas traffic ticket lawyer my be able to convince the Judge that you were driving safely. you may find that what the officer said he saw was not possible from where he said he saw it. Many Texas traffic laws have wiggle room and the officer issuing the ticket is often making a judgement call. Only individuals convicted of serious traffic violations, such as drunk or reckless driving, face the possibility of going to jail. State laws do not allow a judge to impose a jail sentence for speeding or failure to stop at a traffic light. Even if you are a repeat traffic violator jail time will rarely be imposed. You will face a stiff fine, possibly traffic school, higher insurance fees and license suspension. A routine ticket for speeding, failure to yield or failure to stop at a stop sign will normally cost you between $75 and $300, depending on your driving record. Because it’s expensive for the state if you fight your ticket, courts place hurdles in the way of peole who insist on a court hearing. An experienced traffic ticket lawyer in Texas can help you resolve this matter & in many cases resolve the traffic violation without a court appearance. Was the officer’s view of what occurred obstructed by other moving vehicles or stationary objects like trees, fences or buildings? This will allow your traffic ticket attorney to argue that the officer didn’t have a clear view. Did The officer stop the right vehicle? It’s very common during rush hour or heavy traffic for an officer to make a mistake. Your Texas traffic ticket attorney can use this defense to get your traffic violation dismissed. Free Consultation and Advice: Our Texas traffic ticket lawyers will listen to the details of your situation, analyze your legal position and give you the pros and cons of several alternate courses of action. A good traffic ticket lawyer in Texas will not give you conclusions but advice so you can make an informed decision. Negotiation: For more serious charges you may be able to use the lawyers skill and experience to help you negotiate with the prosecuting attorney. Often when a traffic ticket lawyer has a previous relationship with the prosecution and experience with plea bargaining can be helpful in limiting the price you might have to pay in terms of jail and penalties. If you face DWI or Drunk Driving charges or even an ordinary ticket that could result in your license being suspended, a traffic ticket lawyer may be able to present a more effective defense in court than you could. Most often it is worth it to fight your traffic ticket or traffic offense. If you want to learn more about your choices and are interested in exploring your options in regard to fighting your ticket, contact us today. You will need an experienced Texas traffic ticket lawyer at your side to have the highest potential of avoiding a conviction and serious consequences. Did you receive a traffic ticket in Texas? Contact us today to talk to an attorney about your case!